Tobin just loves to go out in front of our home and search around for pine cones. Here he is working hard at it last February. Product Spotlight: I wanted to point out a really fun product I used on this page. This was my first experiment with Close to My Heart’s Color Ready Cork Alphabet stickers. 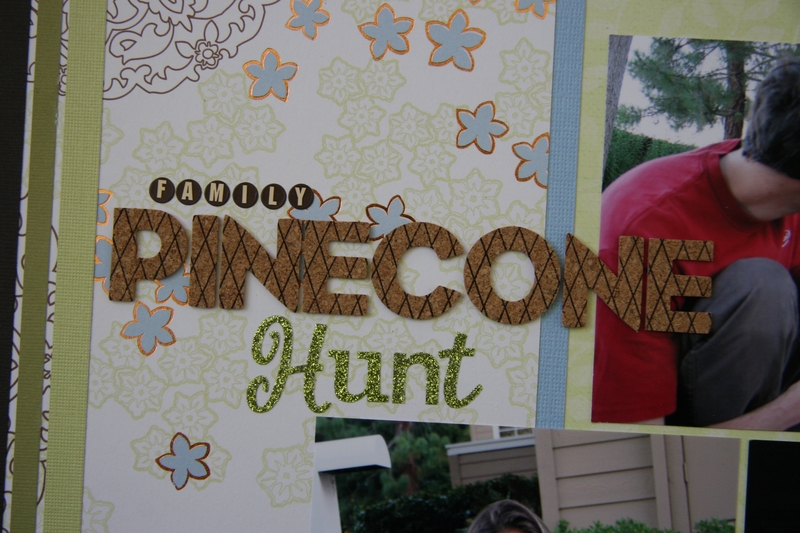 I used a background stamp from the April Stamp of the Month set and the Cocoa Ink Pad to make my letters look textured like a pine cone. It came out perfect for this layout! These cork stickers also come in shapes.